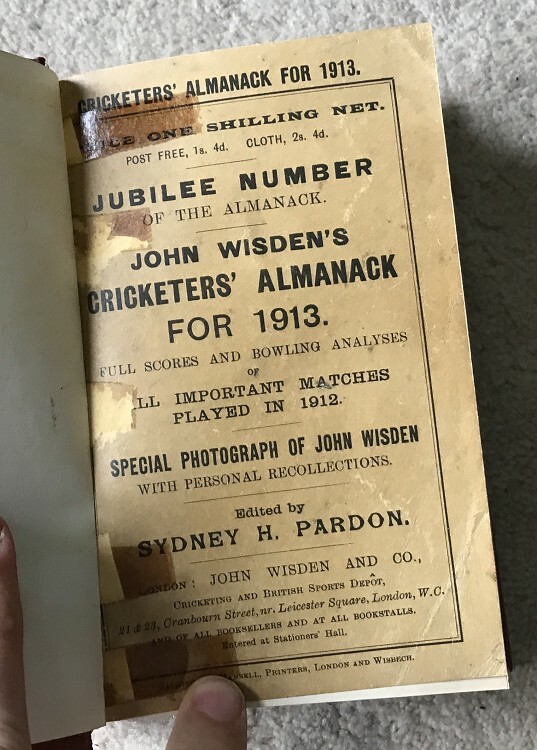 This lot is an 1913 Rebound Wisden , without the original covers. The boards are in Red with gilt to the spine. The page block is clear and white and the book is in great order. Clean pages, nice photoplate of JW and tightly bound. The front cover has several tape marks to the left. No rear Cover.